At Broadband World Forum in Berlin, Germany, KDPOF – leading supplier for gigabit transceivers over POF (Plastic Optical Fiber) – will present their robust in-wall wired optical connectivity from October 23 to 25, 2018 at Stand A133 in Hall 22a. 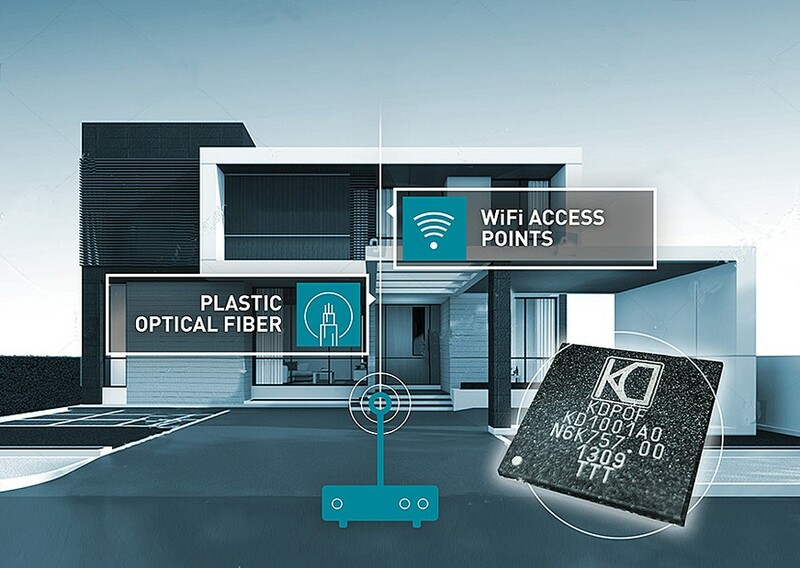 "With our Plastic Optical Fiber backbone, we elevate Wi-Fi EasyMesh(TM) performance to the next level: from more than 100 Mbps up to 1 Gigabit to any point in homes and small and home offices," stated Carlos Pardo, CEO and Co-Founder of KDPOF. In combination with Wi-Fi access points, POF provides end users with maximum performance for both wireless and wired connectivity throughout the house. POF can reuse any existing conduits in the home, making these cables invisible. Plastic Optical Fiber is cost-efficient, low skill to install, and robust. In addition, it provides convenient Optical Network Termination (ONT) to Gateway (GW) link for a better placement of the GW within the home. By working with KDPOF, operators can offer their clients low latency, fast download speeds, and reliable connectivity for video.